For most of 50 years, Waldo Wilcox was an obscure sentinel, quietly guarding the secrets of Range Creek Canyon with his cantankerous aversion to outsiders. But that secrecy evaporated in 2004 when a small community newspaper innocently published a story about a visit by local officials to the Wilcox Ranch and its spectacular archaeology. The news account unleashed a blizzard of media attention that has continued to this day. Reporters from every major newspaper in America, magazine reporters, television reporters, documentary broadcasters all have descended on Range Creek to report the amazing story of Range Creek’s secret treasures and their long-time guardian who had chased off any who dared to breach the perimeter of his gated ranch. Indeed, Range Creek is filled with archaeological treasures. There are bundles of painted arrows, ancient farming implements, intricate animal snares, pieces of beautiful painted pottery as big as your fist, arrowheads lying about the ground wherever you find the imprint of an ancient house, baskets left on ledges, even an ancient flute. And there are spectacular masonry granaries tucked high on cliff faces where it baffles the imagination as to how the ancients constructed them. A fascinated public gasped in awe as remnants of a mysterious culture were unveiled for the first time. 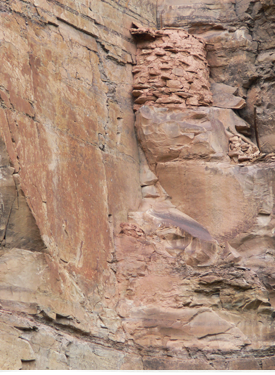 As well, archaeologists have been marveling since they got their first look at Range Creek in 2002, just as ownership was transferring from the Wilcox family to the state of Utah. Sure, the archaeologists are excited at finding all of the artifacts that seemed to be the focus of news reports. But they are marveling at an entirely different kind of treasure trove: Each of the hundreds of undisturbed archaeological sites contains layer upon layer of scientific evidence that, if carefully peeled back and analyzed, can reveal exciting secrets about how the Fremont peoples thrived in this harsh desert environment. In that respect, the real treasures of Range Creek are the microscopic evidence of the daily lives of the people who once lived here, evidence that remains sealed within the collapsed rubble of their ancient homes and food pantries. Scientists rarely get the chance to study a site that hasn’t been damaged in some way, either by road cuts or looters or developments that are the natural course of human progress. But that damage has greatly limited what is available for scientific study. And quite often, what archaeologists see is only a small part of a much bigger picture. Former state Archaeologist Kevin Jones refers to every archaeological site as an important history book that explains the past. And when sites are damaged, it’s as if pages are ripped from the book, making the story incomplete. “With Range Creek, we have an entire library of books with all the pages intact,” he says. 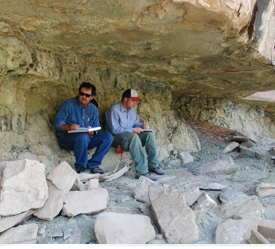 CPAA archaeologists have been involved in documenting the archaeology of Range Creek for almost a decade. 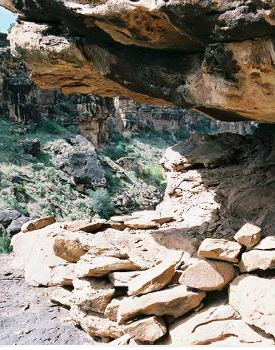 In fact, CPAA Executive Director Jerry D. Spangler led the first archaeological expedition into the canyon in 2002 just before it transferred to state ownership. We have directed field schools there for the College of Eastern Utah and we have worked closely with the University of Utah, which has a field research station there today. In 2009 and 2010, we began research in the lower Range Creek area ï¿½ at the time targeted for oil and gas development. We documented a rich array of archaeology there, but sadly this area of the canyon has been accessible to vehicles for years and many of the most remarkable sites have been badly damaged by looters. Our ongoing efforts in this area include working with the BLM to maintain road closures in the canyon proper and to ensure that oil and gas development does not encroach into the canyon bottom where the richest archaeology is located.